Palakkad is the 7th most populated city in the state. It is also one of the most popular tourist destinations in Kerala. The city is especially gorgeous during the monsoon season when the water droplets give an exotic aroma to the lush green surroundings. 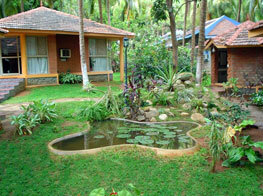 Hotels in Palakkad are some of the best accommodations in the state of Kerala. The rooms in these hotels exuberates a special kind of modern charm along with the glory of traditions that reminds one of the amazing days gone by. The dining halls of these hotels serve excellent sea food dishes and Kerala dishes and do not let anyone leave without getting a true taste of Kerala. Palakkad hotels are also facilitated with modern day facilities and services so that everyone gets to enjoy a comfy and memorable stay in the city. The culture of Palakkad which is often symbolized by Kathakali dancers is present throughout the hotel and special folk dance and folk music performances are also arranged for travelers. Given below is a well detailed description of Palakkad hotels that provide the best possible services to each of the guests who decide to stay in here.